Ho Chi Minh City – also known as Saigon – is no longer a strange destination for travellers visiting Vietnam. Arriving at Tan Son Nhat Airport, you are free to venture and explore a number of destinations in Vietnam, but believe me, don’t mistake Ho Chi Minh as another sprawling modern city without personality. With just a stroll, you can enjoy all the beauty of Ho Chi Minh – where both modern and immemorial vibes exist in the same city. Now, let’s explore what a Ho Chi Minh City walking tour can offer you! 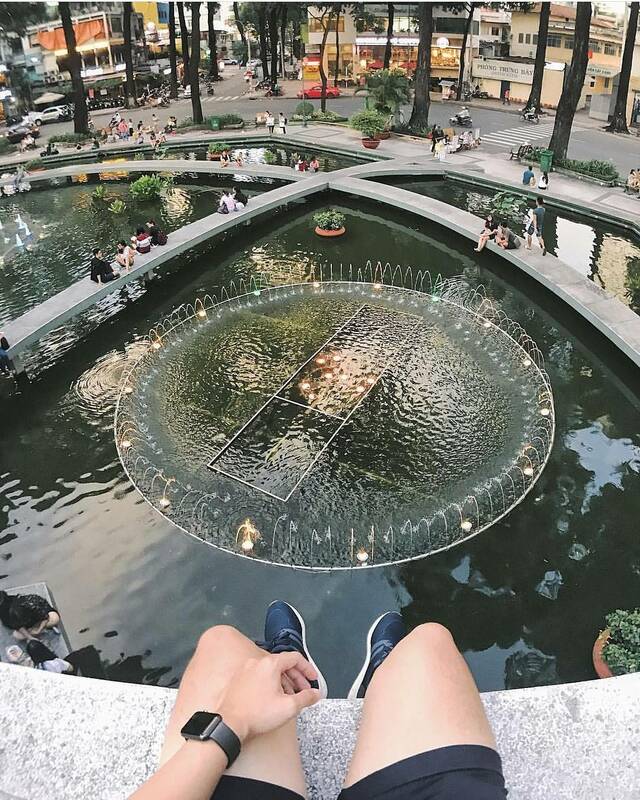 A walking tour is the best option for exploring the most prevalent gems of the city. If this is your first time visiting Vietnam, it’s highly recommended you explore with a native guide, so you can have an authentic “walk around” Ho Chi Minh experience. Areas like District 1 allow you to simultaneously exercise while enjoying the rare beauty of Ho Chi Minh. 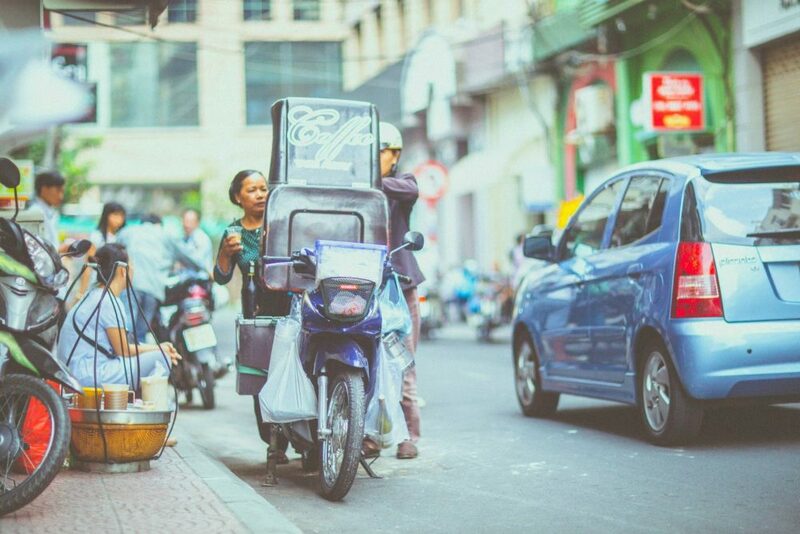 If you want to avoid the city center and set your own itinerary while exploring Saigon, ride sharing apps like Uber and Grab are widely available anywhere in the city, or you can choose to even rent your own motorbike. 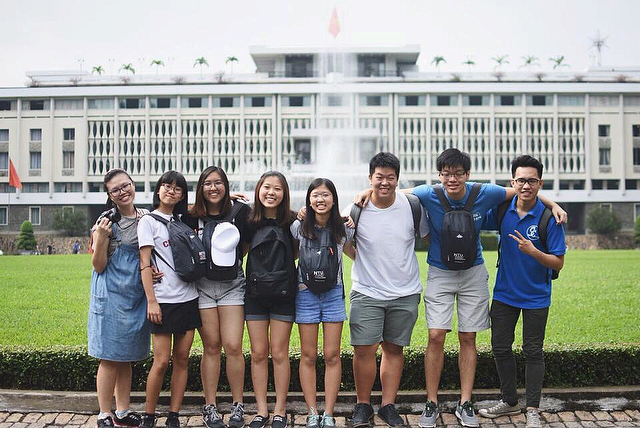 Get the best “walk-around” experience with Inspitrip to explore all iconic attractions, cultural hubs and hidden gems in Ho Chi Minh city now! The heart of Ho Chi Minh – District 1 – is an embracing area of many beautiful landmarks where you can enjoy the immemorial vibe and unique architecture. Attractions in the area include the Notre Dame Cathedral, the Ho Chi Minh Central Post Office, the Reunification Palace, 30/4 Park, and Turtle Lake. 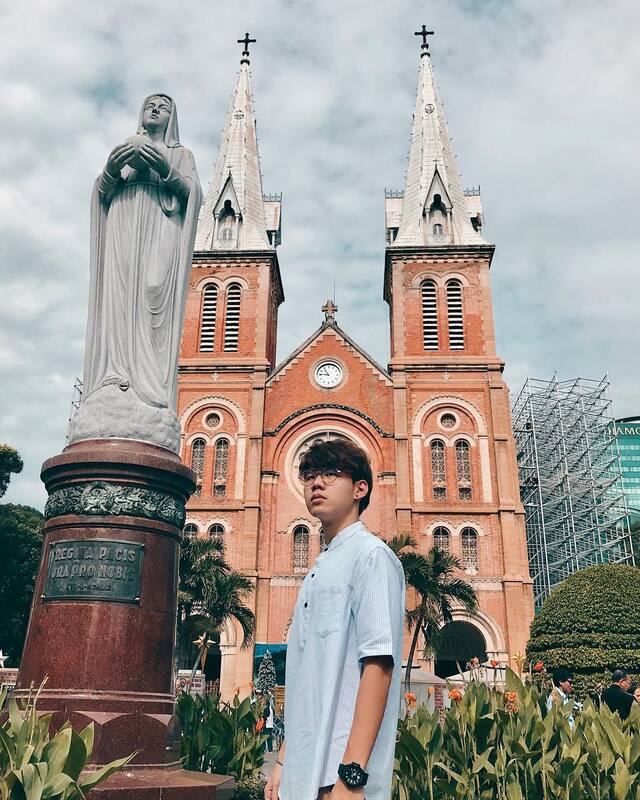 Visitors in Ho Chi Minh City should not miss the Notre Dame Cathedral, one of the famous architectural landmarks and features of Vietnam tourism. Just to the right, connected by 30/4 Park, Independence Palace,with the prominent character “prosperous” in Chinese, shines like a “white fort” in the heart of Saigon. 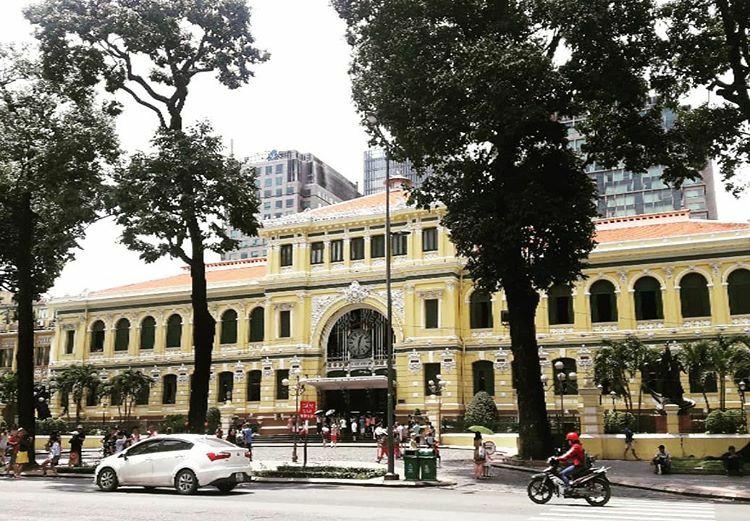 Near the Notre Dame Cathedral, just one street over, there is the Ho Chi Minh Central Post Office that features European architecture combined with oriental decoration that create a unique beauty for Ho Chi Minh. From the Notre Dame Cathedral, across two more intersections, you will see Turtle Lake – an artificial lake famous for its architecture. 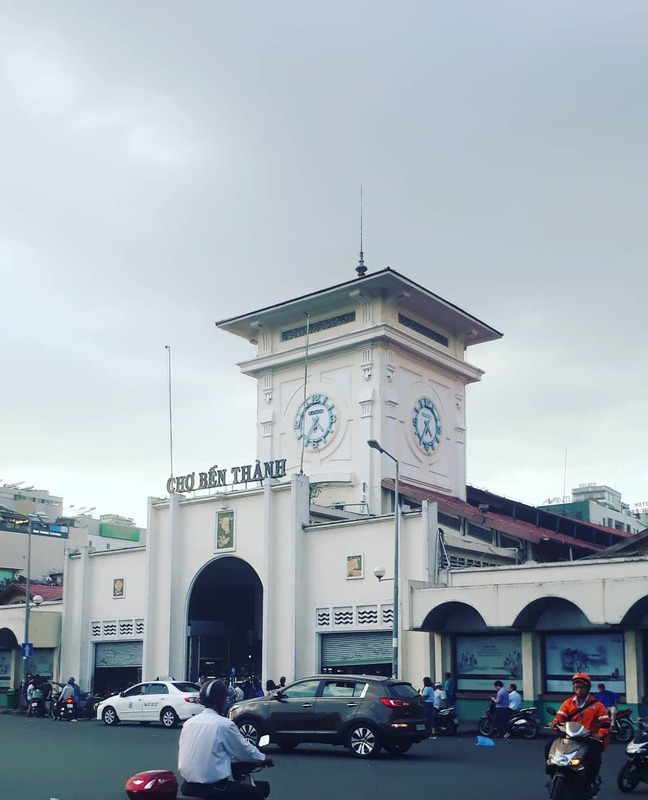 Going a little further, the Ben Thanh Market awaits you with countless stalls selling clothes, souvenirs and fine dining. The Opera House with sophisticated architecture, is a place for visitors to enjoy chamber music in the evening. If you like the modernity of a dynamic city, Diamond Plaza, Vincom Dong Khoi, or a series of shopping malls around the area are other destinations to consider in Ho Chi Minh. Especially, Ho Chi Minh at night is the genuine “muse” of Vietnam. 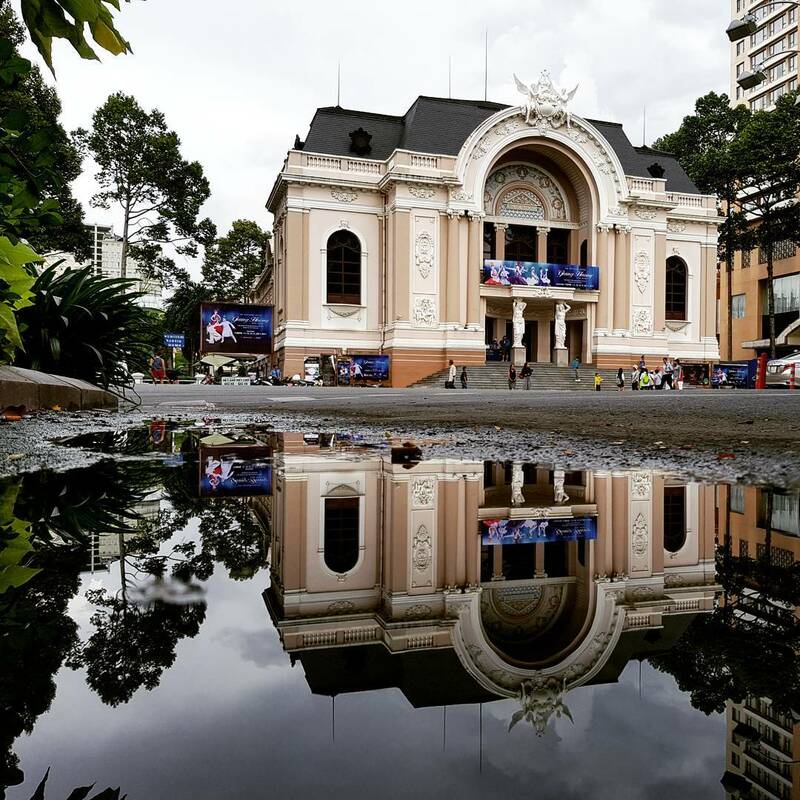 A very attractive place for young people built in the last 5 years – Nguyen Hue Walking Street – a place where you can stroll among the colorful buildings, restaurants or luxury. Nguyen Hue apartment – famous coffee apartment in Ho Chi Minh. Bui Vien Street – a familiar place for foreigners with bars, beer clubs or food outlets of various types and open all day and night. Or you can think of enjoying Ho Chi Minh City on the highest building in Vietnam – the Bitexco Tower. Another site that very few visitors know, unless it is accompanied by a native guide, is the Thu Thiem Bridge and Thu Thiem Tunnel, where you can admire the whole picture of ” heart of Ho Chi Minh ” right next to the cool and fresh Saigon River. Without a doubt, there is no place that comprises the diverse cuisine from all over Vietnam as Ho Chi Minh. But it is not easy for you to enjoy the taste of authentic food from their respective area in this city as most of the street vendors are hardly able to duplicate the taste of the dish from where it came from. For example, if you want to eat crab soup, it is a must-try on Tran Khac Chan Street. Snacks and fried foods can not be ignored at Son Ca restaurant in Vo Thi Sau Street, District 3; or with the famous “bowl of snail” you can not go anywhere else but in Xom Chieu, District 4. These locations are not easy to find, and you might need a local to guide to show you around. But once you have eaten, you can not go anywhere else with similar dishes. 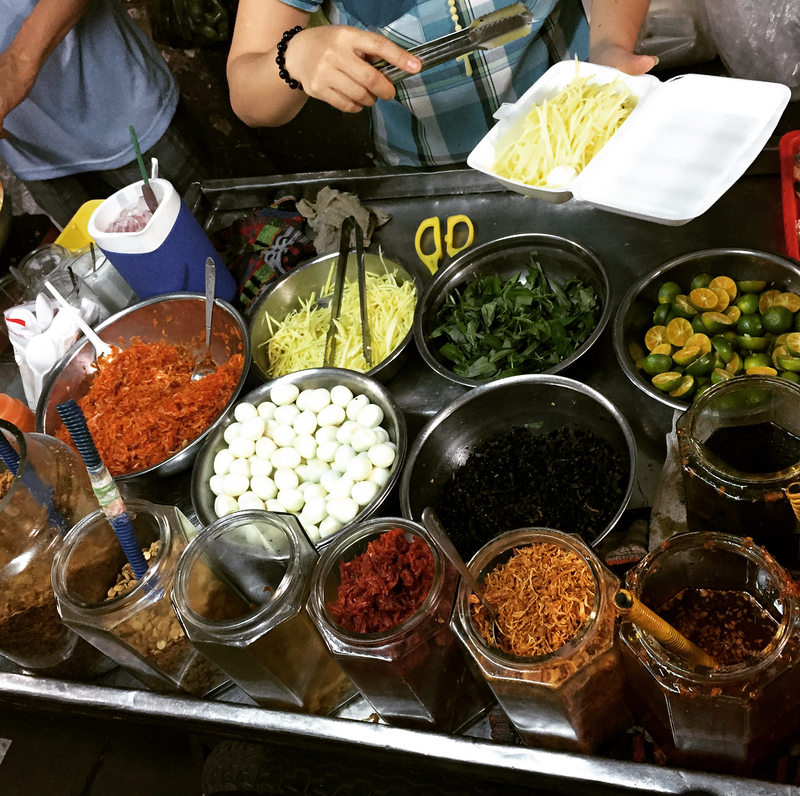 Street food from every corner of Ho Chi Minh is always delicious and interesting. In addition, if you come to Ho Chi Minh City at the right time, you can attend food festivals, including food in Vietnam, or the Vietnam-Korea food exchange, etc … usually held in the Hoa Lu Stadium, Rubik Foody Town. This is a “culinary paradise” that you can not ignore, but also depends on your own luck too. 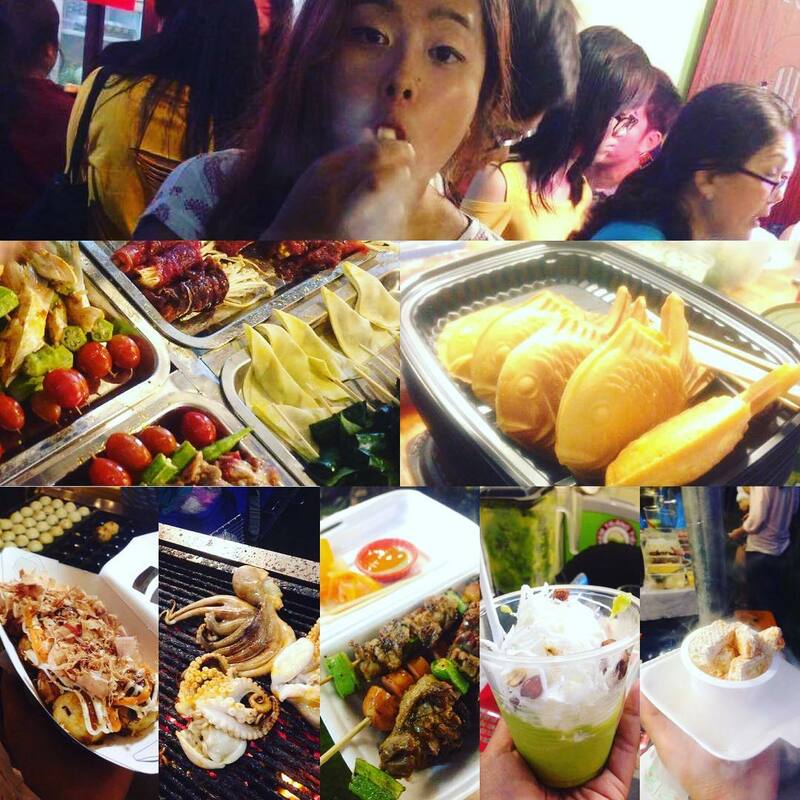 You can also catchup some food festival in Rubik Foody Town just by walking from Distric 1. 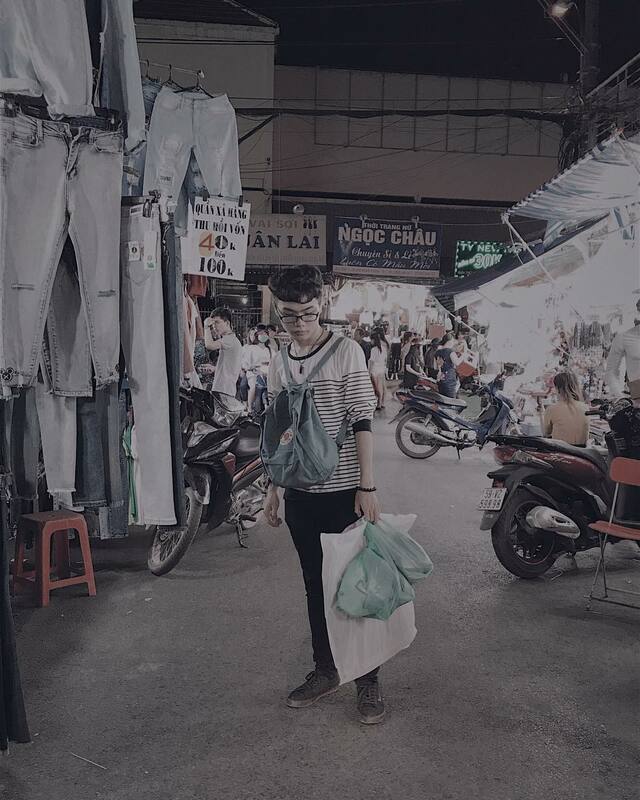 If you are interested in shopping for Vietnamese imprinted items, or just want to buy some shirts and some casual pants, Hanh Thong Tay Market or Pham Van Hai Market with dozens of pants, trendy casual shoes are the best destinations for you. Foreign visitors to Vietnam are often afraid of increasing price problem, but with these markets, you do not have to worry about the price. Hanh Thong Tay Market – there is no cheaper place than this. If you select a Ho Chi Minh Walking Tour, then you can expect to experience a unique blend of delicate beauty, ancient to modern. From the unique culinary culture of Ho Chi Minh, through each step you can feel it, and it’s a pity for you to ignore any of the city’s “hidden tastes”. So if you have any questions, you can checkout Son’s tour to help meet your destiny buddy for the trip.